The aim of any dental treatment is to reduce the accumulation of bacteria and the elimination of infection. Both cause bad breathe. Many factors also modify the oral environment that increases the likelihood of accumulation of bacteria and infection. So the three prong attack against dental bad breathe is: Prevent, Treat, Maintain. A proper dental assessment needs to be done to identify the cause of the bad breathe. 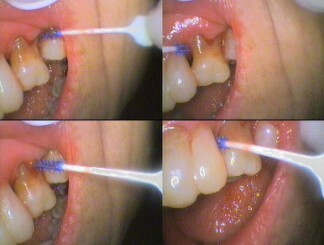 Instructions into more accurate anatomical cleaning by the dentist AND do it at least once a day properly! Regular examinations, ideally every six months. Professionally have your teeth cleaned 6 monthly or even 3 monthly in some cases. 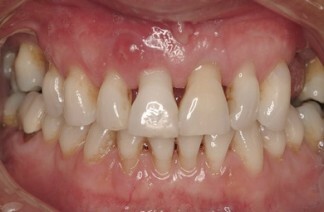 It might seem obvious, get fillings done to remove the decay and restore the teeth. Get x-rays, called bitewings, to check for decay between the teeth on a regular basis. Reduce excessive use of caffeine and sugar drinks as well as sports drinks. This makes the teeth “soft” and more prone to decay. Regular fluoride treatment to prevent, and slow, or even stop very early decay. Seek professional assessment of the gums, and to find calculus on the tooth, and also within the “pocket”, between the tooth, gum and bone. Remove the calculus and have treatment to reduce the pocket. Be taught how to keep it out of the pocket by using special brushes, for example, caredent interdental brushes, daily. Seek professional treatment of the abscess, due to extensive gum disease. 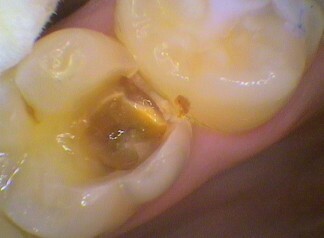 This may mean cleaning the site, minor surgery or event removal of the associated tooth.